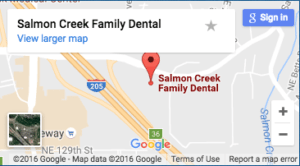 Here at Salmon Creek Family Dental, we get a lot of patients who ask us about creative ways to care for their teeth. We often say one of the best things you can do for your smile is to buy an electronic toothbrush. Electronic toothbrushes are often better and more superior than regular toothbrushes because they have a timer and are more gentle on the gums tissue. Although using an electronic toothbrush is not for everyone, read further to see if an electronic toothbrush is the best fit for you. Electronic toothbrushes are a great way to keep your teeth clean. There have been many studies that indicated using the electronic toothbrush has an edge over the handheld toothbrushes. This is because it reduces plaque and gingivitis in the short and long-term with a gentle timed circular brushing motion. Electronic toothbrushes are good for people with arthritis or people who need to handle their toothbrush with more control, because it will result in cleaner teeth and gums for these people. Dentist near Baberton, WA, Dr. Dale Nelson says that there are many types of toothbrushes that are electronic for you to look at, some require batteries and some require just plugging into the wall. It pays to do research and find which style works best for you. Electronic toothbrush’s have a timer which makes it easy to push the start button and continue brushing until it is over, this allows people to clean their teeth more accurately. Electronic toothbrushes do a deep down teeth cleaning and your teeth and gums will be very healthy. It will reduce gingivitis, in addition it is ideal for anyone who is suffering from any conditions of painful teeth and gums to consult with Dr. Nelson first, we are here to help you. If you use a manual toothbrush you may realize that sometimes it doesn’t get all of your teeth as clean as possible. It’s important to note that teeth are brushed to hard and the tissue around your teeth and gums can become damaged. Whereas an electronic toothbrush requires less pressure and it often leaves the gum tissue with minimal damage. If you’ve been using a manual toothbrush and that works for you, continue to use it. The most important thing is that you practice good oral health care habits. Dr. Nelson wants to remind you that as long is your practicing good oral health care habits and flossing at least once a day your teeth will be healthy. No matter what you choose whether it’s electronic toothbrush or manual toothbrush.